One of the most important and surprising traits of the brain is its ability to reconfigure dynamically the connections to process and respond properly to stimuli. 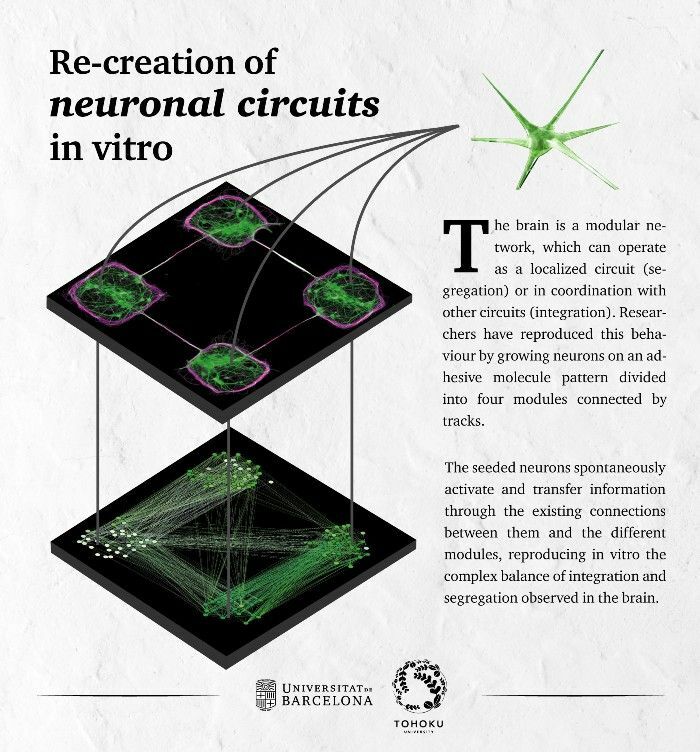 Researchers from Tohoku University (Sendai, Japan) and researchers (Jordi Soriano and Sara Teller) at the UB and members of the UBICS, using neuroengineering tools, have created in vitro neural circuits that reproduce the capacity of segregation and integration of brain circuits and which allow researchers to understand the keys of dynamic reconfiguration. The study has been published in Science Advances. “This study shows the importance of modular organization to maximize the flexibility of a neural circuit. It also shows the potential of in vitro tools and biophysical models to progress in the understanding of collective phenomena in such a fascinating and rich complex system like the brain” says Jordi Soriano.